WarFriends – Registration For Its First Tournament Ever Is Now Open! 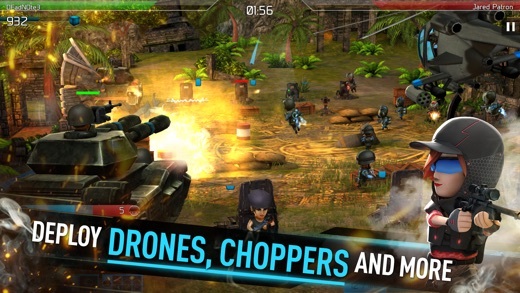 WarFriends [Free] is a cover-based third person shooter with real-time strategy gameplay. The game was fully released this year by EA Chillingo and About Fun to the App Store and Google Play with extremely positive feedback and high ratings. Not only do you get to enjoy a fun universe with incredible characters and interesting gameplay but also you get to embrace the competitive side to it. 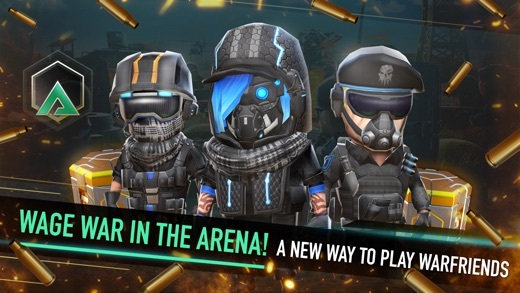 Interestingly, the popular Mobile eSports organizer, MOBILE E-SPORTS, has just announced the first ever tournament for WarFriends and we are very excited to see more mobile games are becoming eSports friendly. The tournament is described to be based on a 1vs1 format with 16 players to be accepted. The prizes added range from cash prizes, to in-game currency, and more. Click here to get WarFriends on your iOS or Android device. Alternatively, if you would like to learn more about this tournament or register for it, then you can click here. We have been playing WarFriends for last few weeks and we love the fact that you can challenge your friends in real-time easily. Be sure to check the trailer for The WarFriends Tournament below.